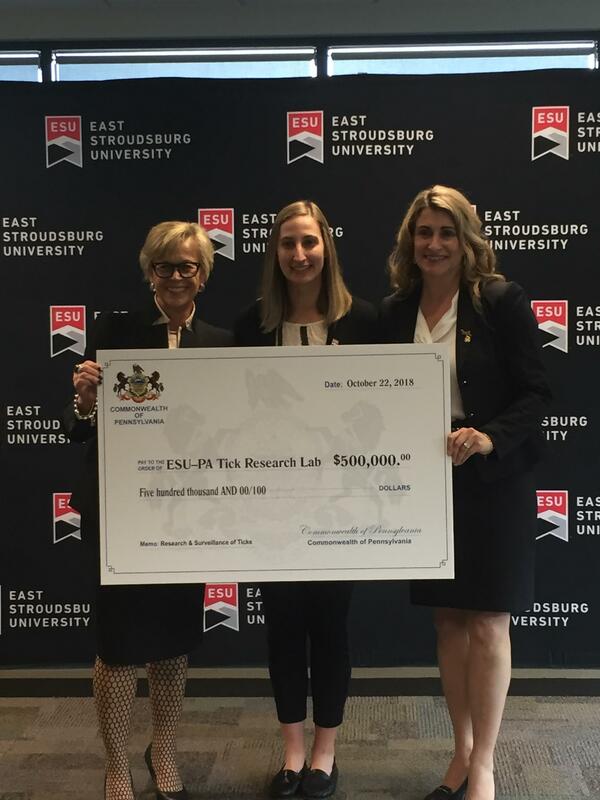 On Tuesday, Oct. 23, I presented Dr. Marcia Welsh, president of East Stroudsburg University, and Nicole Chinnichi, manager of the Northeast Wildlife DNA Lab, with a state grant for $500,000 for the development of ESU’s Tick Research Lab for tick research and surveillance. It was an honor to secure and present this funding to East Stroudsburg University for this important and necessary research. Since 2011, Pennsylvania has ranked No. 1 in reported cases of Lyme disease nationwide. Too many people in our district, and people whom I run into, have been suffering from debilitating Lyme disease. Our goal is to get ahead of illness, test the tick, and identify possibilities of exposure to Lyme or other tick-borne illness. Lyme disease is a bacterial infection transmitted primarily by ticks and caused by the spirochete Borrelia burgdorferi. Lyme disease and other tick-borne diseases such as Babesiosis, Bartonellosis, Rocky Mountain Spotted Fever, Ehrlichiosis and others pose a serious threat to the quality of life of many Pennsylvanians, with the frequency of diagnosed and reported Lyme disease cases increasing dramatically over the past several years. In the last six years, Pennsylvania ranked highest in the country in the number of confirmed cases of Lyme disease. In 2016, Pennsylvania reported 12,200 cases of Lyme disease and about 40 percent of the nation’s cases in Pennsylvania alone. This reflects another increase from the 10,817 new cases reported in 2015. Further, a 2015 Pennsylvania Department of Environmental Protection study confirmed a high risk of Lyme disease in every county of the Commonwealth verifying that every Pennsylvanian, from Philadelphia to Erie, must take precautions to prevent the spread of Lyme disease. I continue to advocate for those who have been affected by Lyme disease and have been working with state departments to develop further solutions to help combat this disease as it has been a major health concern here in Pennsylvania. 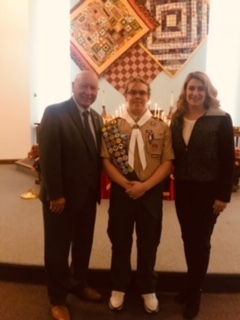 Last Sunday, Sen. Mario Scavello and I recognized Tyler Loren Lee on achieving the rank of Eagle Scout. Congratulations Tyler on your great work – always wishing you continued success! 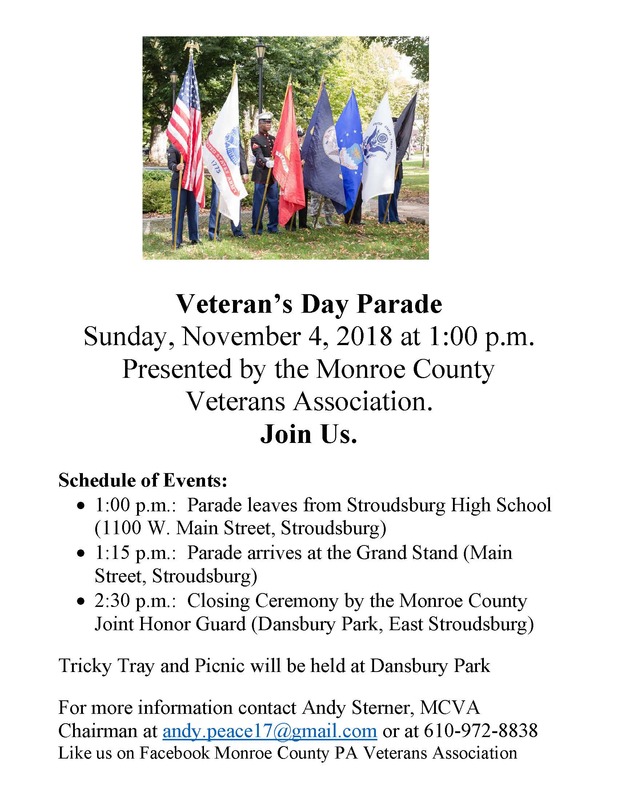 On Nov. 4, at 1 p.m., the Monroe County Veterans Association will host a Veterans Parade that will begin at Stroudsburg High School and end at Dansbury Park in East Stroudsburg. At 2:30 p.m. at the park, the Monroe County Joint Honor Guard will hold closing ceremonies including a picnic and tricky tray fundraiser. 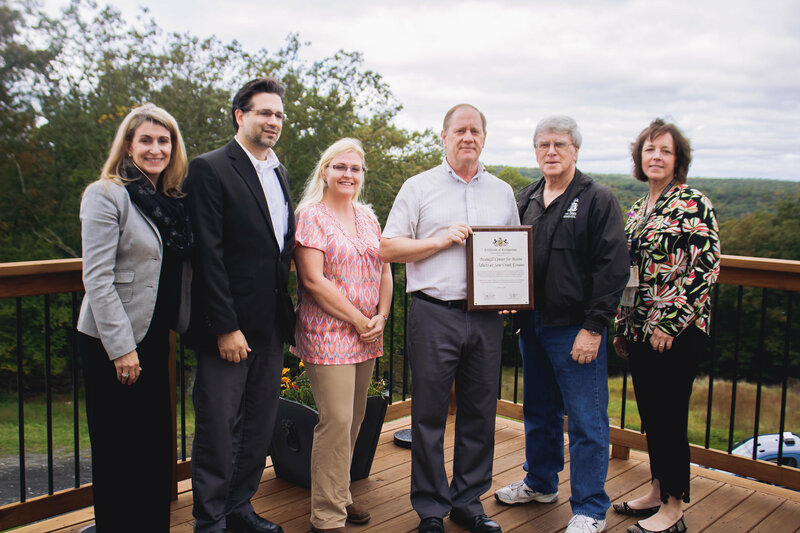 Earlier this month, I was pleased to speak at the grand opening of the Bushkill Center for Active Adults. 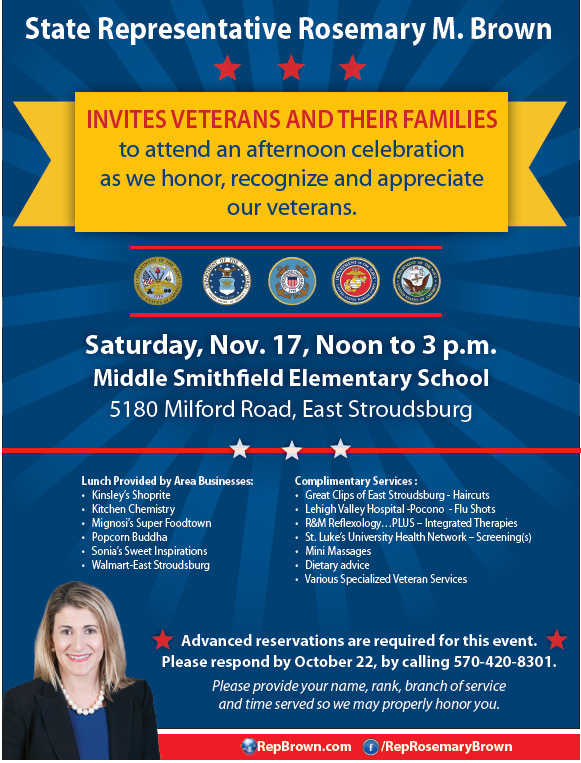 This new center is located inside Saw Creek Estates, 148 Cambridge Court, Bushkill. The center is open every Wednesday from 9:30 a.m. to 2 p.m. and will feature speakers, exercise opportunities and a light lunch for $2.50. You can register to attend by calling the Pike County Area Agency on Aging at 570-775-5500. 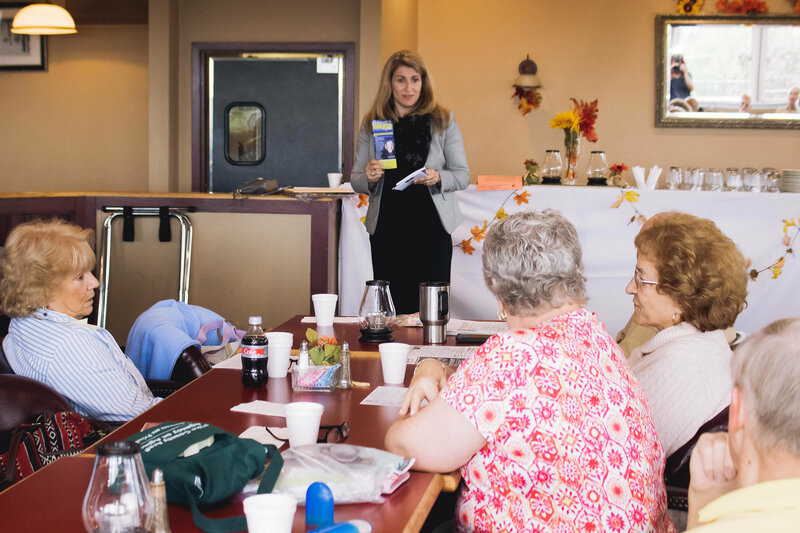 Thank you to, Saw Creek and Pike County Area Agency on Aging, for your collaboration efforts to create this center for seniors in our district. Send cover letter and resume to Executive Director, 556 Route 402, Hawley, PA, 18428 or email mlong@pikepa.org by Nov. 7, 2018. Pike County is an EOE. Other jobs are open and available here in the Commonwealth. If you are searching for employment here in Pennsylvania, you can visit this website employment.pa.gov/pages/jobopportunities.aspx. Legislation was recently signed into law that will help prevent food stamp fraud by imposing tougher penalties for the illegal trafficking of Supplemental Nutrition Assistance Program (SNAP) benefits. Senate Bill 1127, now Act 160 of 2018, creates a new penalty for the fraudulent trafficking of SNAP benefits in an amount greater than $2,500. Violators will be required to pay restitution of up to three times the amount of fraud they committed. Under previous law, the recipient who sells the benefits and the merchant who creates the illegal market for and traffics in those benefits were treated the same.